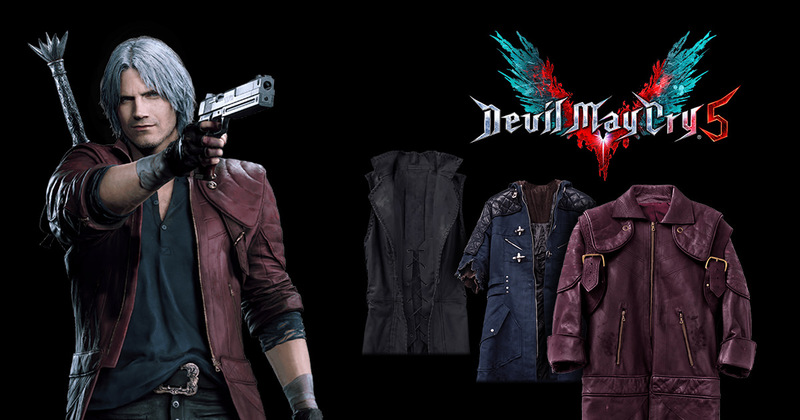 Dress up like your favourite Devil May Cry 5 hero by purchasing one of the Limited Edition versions of the game, which come with stylish replica coats. Prices between £4000-£6200. When it comes to games many of them offer Collector's Editions that offer unique things such as Art books, Posters, Statues and more. For the upcoming Devil May Cry 5, Capcom are selling 3 Limited Editions of the game which all come with replica Jackets themed around heroes from the game. The most expensive Limited Edition available features Dante's leather coat for just over £6000, or if you're not feeling like dishing out quite that much you can get your hands on V's Edition for roughly £4000, or Nero's Jacket for roughly £5000. If you fancy getting your hands on any of the crazy priced editions you can purchase them from the Capcom Japan Shop. Currently there's no word if these exclusives will be available in Europe (or anywhere else), but if you've got the money and fancy a stylish jacket to look like your favourite Devil May Cry icon then perhaps it's worth considering. You'll have to add extra fees for shipping, but if you're going to get a coat anyway I doubt that'll stop you!